These famous words by Henry David Thoreau, the most famous of nature writers, are what drove the author of the memoir Cabin Fever to find his own balance in a Michigan cabin. 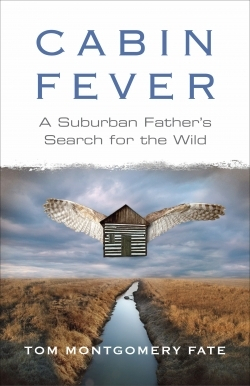 Unlike Thoreau, though, the author has a full-time job and is a suburban father of three. While the book took four years to write, the chapters are broken into seasons that he spent at the cabin, and each season has a different feel. Winter, for example, is the most desolate of times, prompting a discussion of the author’s own struggle with depression. The tone of this writing is serious and thoughtful, yet laced with some humor (particularly the chapter in which he imagines a gay relationship between two male cardinals). Each chapter is really a story in itself as the author rotates through the seasons. On the journey he pays close attention to ants and cardinals, discusses coyotes in suburbia, and laments both the death of his cat and of a friend. Fate is introspective and writes in a lyrical manner, offering much food for thought in this multi-layered, “how to live” memoir.